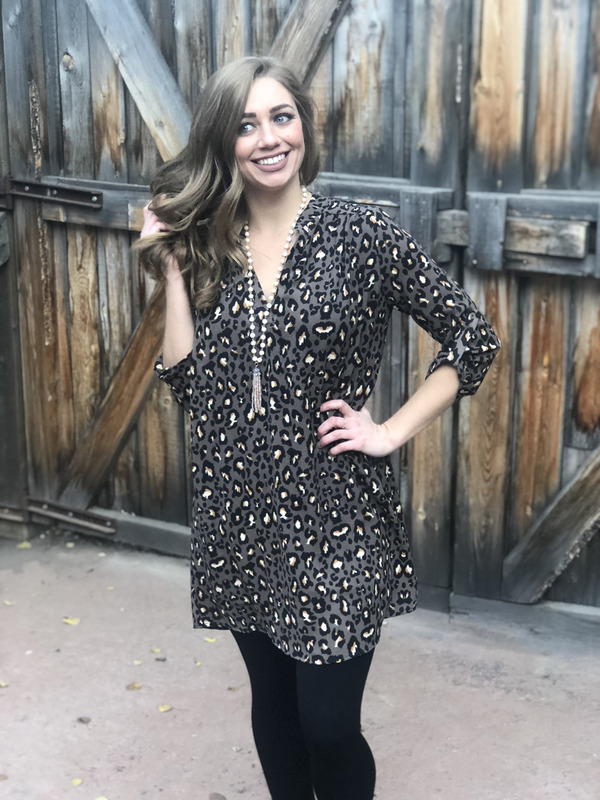 Look chic in our cheetah shift dress! The "Cheetah Dress" has a v-cut neckline, 3/4 length sleeves & a relaxed polyester shift silhouette. Accessorize, for a stylish look thats sure to turn heads.